Gold medallists on the third day of action at the Sparta 2018 ITTF Pan American Championships in the Chilean capital city of Santiago, pivotal to Brazil’s impressive Women’s Team success, Gui Lin and Bruna Takahashi booked Women’s Singles semi-final places on the evening of Saturday 24th November. Both maintained the form displayed thus far demonstrated, with Gui Lin the player centre stage, as Puerto Rico’s Adriana Diaz and Canada’s Zhang Mo also reserved places in the penultimate round. Gui Lin emerged the one player to upset the order of the merit; the no.8 seed she accounted for Wu Yue, the no.3 seed from the United States (9-11, 8-11, 11-3, 11-4, 11-9, 11-3) and thus reversed the decision of just over two weeks ago at the Seamaster 2018 ITTF World Tour Platinum Austria Open in Linz. On that occasion, she had suffered defeat at the hands of the 28 year old from Fort Lee in New Jersey in the qualification stage. Furthermore, Gui Lin also avenged the agonizing defeat she had suffered in Markham in the Women’s Singles final at the 2015 Pan American Games; in the Canadian city she had held a lead in the seventh game prior to experiencing defeat. 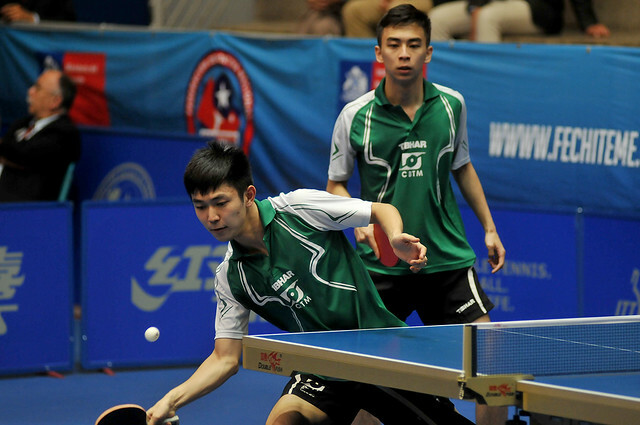 Disappointment for Wu Yue, who just over one year ago at the 2017 ITTF Pan American Championships had finished in runners up spot; equally, it was disappointment for colleague, Lily Zhang, the no.7 seed and thus the end of hopes for the United States. She was beaten by Puerto Rico’s Adriana Diaz, the no.2 seed, the player who had accounted for Wu Yue in last year’s final. Most impressively, Adriana Diaz prevailed in four straight games (11-9, 11-7, 11-6, 11-8); after securing a close first, the only moment of alarm for the Puerto Rican camp came in the fourth game. Adriana Diaz established a 9-4 lead, only for Lily Zhang to win the next four points; a prudent “Time Out” call by Adriana Diaz halted the Lily Zhang recovery. The end of the road for the United States, it was also the end of the road for the host nation; the last remaining Chilean hope of a medal in the individual events was thwarted. Bruna Takahashi, the no.4 seed, beat Paulina Vega, the no.5 seed, in six games (11-8, 11-7, 4-11, 11-3, 10-12, 11-6). A hard earned win for Bruna Takahashi, for Canada’s Zhang Mo, the quarter-final encounter was less testing; the top seed, she overcame Colombia’s Paula Medina, the no.6 seed, in four straight games (11-7, 11-6, 11-3, 13-11). In the penultimate round, Zhang Mo meets Gui Lin, Bruna Takahashi opposes Adriana Diaz; the Women’s Singles event will be played to a conclusion on Sunday 25th November.